This blog toolkit provides a “behind the scenes” look at every tool used in the making of Cornerstone Confessions. This is not a random list of products that “could” work or that I’ve used in the past. These are products I am actually using day-in and day-out. I believe in these products so strongly that I do have affiliate relationships with a few of these tools which means I will earn a small commission if you buy a product using the links provided below. Each link attaches no additional cost for you–it just provides me with a little extra support for which I thank you! Also, if you buy a tool I’m very familiar with (and if its on this page, I am), then if you have any questions about the product or service, just ask. I’ll help however I can. I actually won a year of hosting from Web Hosting Buzz when I first started blogging but have been satisfied with it every since. If I ever run into trouble, customer service is only a phone call away, and the annual price is very reasonable. When I first started using WordPress I was highly encouraged to the Genesis Framework for my WordPress blog because “you pay for what you get.” I couldn’t agree more. I highly encourage the use of this strong framework for whatever theme you choose. Modern Blogger Pro is the StudioPress Theme that I use currently. The interface is clean and it is very mobile responsive which is great. I’ve also used StudioPress’ Prose Theme and have liked its easy code-free customization options. I made the switch to Mad Mimi this past year at the recommendation of several colleagues when I decided it was time to up my e-mail marketing plan, and my e-mail subscriptions were growing rather quickly. It provides a lot of services for the money in a very simplified way as well as some great statistical feedback. Back when rumors of the end of Feedburner began to arise I began to look for RSS alternatives and Feed.Press stood out to me from the rest, both for it’s simple interface and reasonable prices. I have not been disappointed. This linkup tool is by far the most friendly and time-saving for both blog guests and the blogger. Customer service is superior and the updates are always way ahead of competition. Canva is my choice for the creation of simple but professional looking images. Their gallery of clipart is quality as well as reasonably priced, their templates save me a lot of time in planning the layout, and I even enjoy learning new graphic design tips from their blog. Akismet–My number one defense against spam. Align RSS Images–Makes my RSS feed images align like they do on my blog. Better Click to Tweet–Great way to get more twitter engagement on your site. Contact Form 7–Good solid contact form. Easy Recipe–Nice for recipe input. Makes it easier for readers to print or rate the recipe. Featured Images in RSS w/ Size and Position–Shows featured images in your RSS feed. Genesis Simple Edits–The easy way to edit post info, meta, and footer info of a post in the Genesis Framework. Google Analytics Dashboard–I transferred from Blogger and really missed the individual post stats in my post dashboard. This adds that option to WordPress. MCE Table Buttons–Makes inserting tables into a post so much easier! NextScripts–Create your initial social media shares while you are creating your post. Related Posts–There are two plugins by this name. Choose this one. I love the option to edit your related posts to display what YOU want it to display. Works great! Subscribe to Comments Reloaded–Allows commenters the opportunity to be notified of my reply. 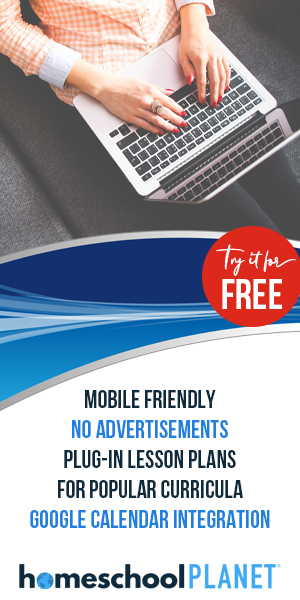 SumoMe–Great FREE marketing tool that includes a smartbar, various popup options, social media sharing tools, and much more. Updraft Plus Backup and Restoration–Simply the best backup plugin I’ve found. It does it all and saves it wherever you want (I save my backups to the Google Drive). No need for another backup service with this backup giant. WooCommerce–Great resource for selling online. Forget outsourcing. Sell things right from your website! e-VAT compatible too. WordPress SEO–This plugin is what helps me know that my posts are ready to go live. Without them my posts would not be nearly as SEO friendly I am sure. Buffer–When I interact with Twitter I look to do it personally, but when scheduling post shares, both mine and others, Buffer is where it’s at. Ahalogy–I love Pinterest so finding a service that spread my pins out throughout the day automatically has been a great time saver that keeps me from bombarding my Pinterest followers. Evernote–I use Evernote for everything from book lists to blog notes, sermon notes, goals, and more. And best of all? It’s free! Google Calendar–This is my editorial calendar. I love being able to add notes under the description when I feel inspired or dragging post ideas to a different date. It makes “being inspired” so much easier when you are in the moment. For even more help, check out How to Build Your Blog and Expand Your Reach.